Stop searching. This is the best marinade for chicken kabobs. It produces tender juicy barbecued chicken with a punch of flavour. It gets rave reviews whenever I make it. Best of all, it doesn’t call for soy sauce which can sometimes drown out the flavours of the other ingredients, not to mention adding all that sodium that we just don’t need. It uses ingredients that you will always have on hand, so it doesn’t require yet another trip to the grocery store. Thread chicken on pre-soaked bamboo skewers and place in an 11×14″ glass dish. Pour marinade over, reserving about 1/4 of it for basting. Let sit in the fridge for 2-4 hours, then grill over medium-low heat for about 12 minutes, basting with the reserved marinade. 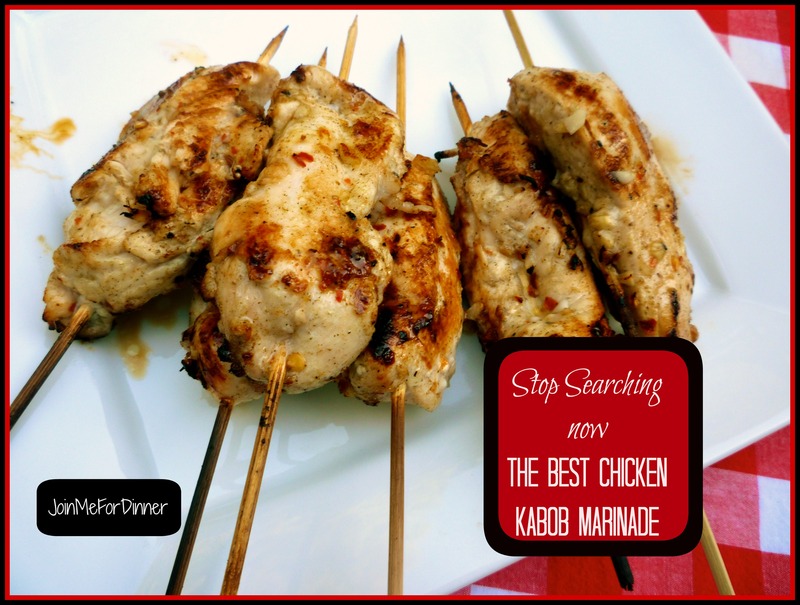 This entry was posted in BBQ, Chicken and tagged barbecue marinade, chicken, fast and easy chicken kabobs, honey garlic chicken kabobs, kabob marinade, kabobs, marinade for chicken, the BEST chicken kabob marinade. Bookmark the permalink.